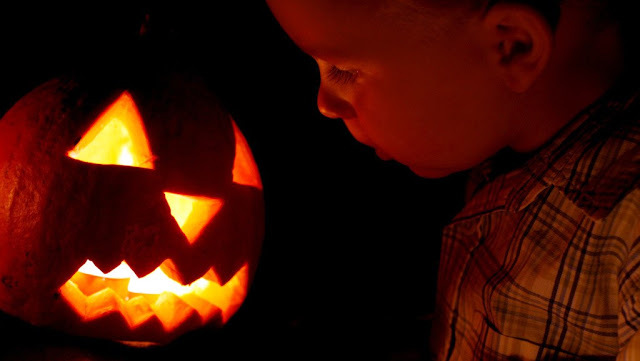 You are Orthodox parents raising Orthodox children in the loving embrace of the Church, and you have asked an important question relating to the cultural “celebrations” surrounding what has come to be known as “Halloween”. Let us start by saying, then, that you must put out of your mind these thoughts about “going with the culture” and permitting your children to take part in such customs “so that they won’t feel out of place with their friends.” Where secular people may feel they have the option to divorce the spiritual realm from the physical and do one thing with their bodies while believing another in their minds, we Christian people do not. We know that the actions of our bodies, and the things we do with our lives, affect our hearts and are directly connected to spiritual realms of which we are, on account of our weakness, not always immediately aware. 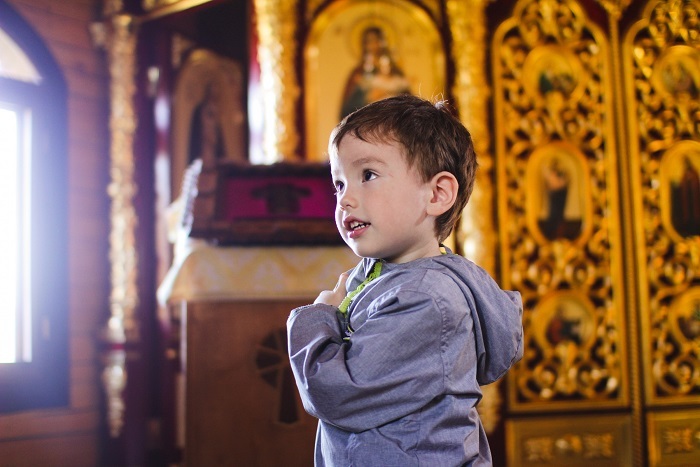 Can you honestly think—you who gaze at and touch the holy icons in your home and in our temples, and know that the saints are present with you, and that you are drawn into their holy lives—that to be willingly surrounded by images of the demons (however childish and infantile their representation) will not also affect your heart, and your children’s hearts, and draw them closer to powers that none would call holy? And not just to gaze upon such images, but to fashion them into clothes and costumes and wear them on one’s body? Some will say, “Ah, but it is only a bit of fun, these days. It’s just fancy dress. No one believes in these things!” But tell me, do you think the devil is so foolish that he does not see the opportunity that comes from something being perceived as “just fun and games”? Do you believe he does not understand that such circumstances cause us to let down our guard, to tease and toy with the very ideas of demons and spiritual darkness? That he does not rejoice precisely because such images become things of play, and therefore things that we do not guard against when the play is done? Yet others will say, “But it is not all macabre: children trick-or-treat in costumes of angels, of cartoon characters, of animals.” But this is to fail to see the point, that it is the very admixture of these two things—the playful and the demonic—that does such damage to the soul. The Scriptures say, What concord hath Christ with Belial? (2 Cor. 6.15), and yet modern man feels perfectly comfortable to join the demons to teddy-bears and unicorns; to mix the sinister with the trivial. This is because he has lost the sense of how powerfully our idle “play” affects the inner disposition of the heart. We think that if we don’t take something “seriously”, it cannot seriously affect us—but look how much woe and despair there is in the world, as the result of this delusion! No, it is time to stand fast against this ridiculous trend. God has given you children; and now, in this very dilemma you are feeling in your heart, He is asking you how you will look after them. Will you, for the sake of “social norms”, start them at so precious and tender an age down the path of considering the spiritual world a realm of partying and jest, toying with images of evil as if they were of no consequence? 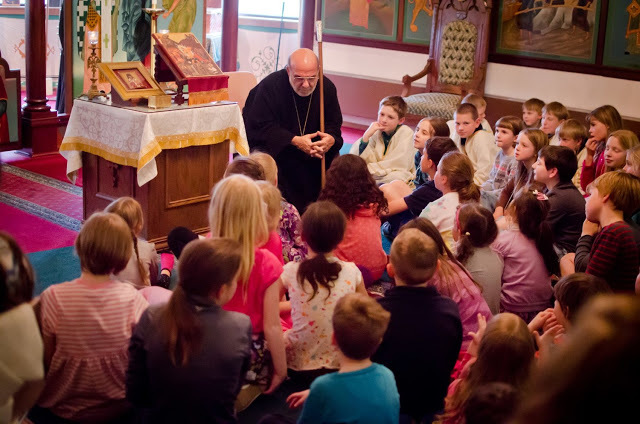 Or will you spend this night teaching them of the joy of the spiritual life as it really is? “Halloween” (18th / 31st October) coincides with the eve of the feast day of our beloved pastor and illumined Father in the faith, St John of Kronstadt; and it is also the feast day of the pious virgin St. Frideswide of Oxford. Look, how God has planted for you two spiritual trees that can bear fruit in your family’s life on this very night. 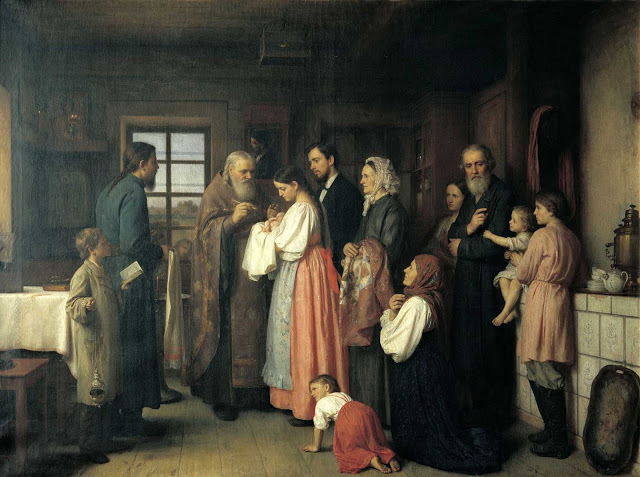 Take your children to the Divine Services; encourage them precisely in the fact of doing something that others are neglecting—that while the world outside plays about in the frivolities of delusion and mixes demons with daydreams, you will enter into the Holy Temple where the God of all spirits dwells, to receive the Holy Spirit and be joined into a life that turned a parish priest into a clairvoyant miracle worker and a meek young woman into a wonder-working healer! And teach your children that He longs to do the same for them, that He desires to make of them great saints whom the whole world will know, if only they, and you, will let Him. May God give you strength to stand steadfast with joy amidst these worldly trials! May He bless you, and bless your children.